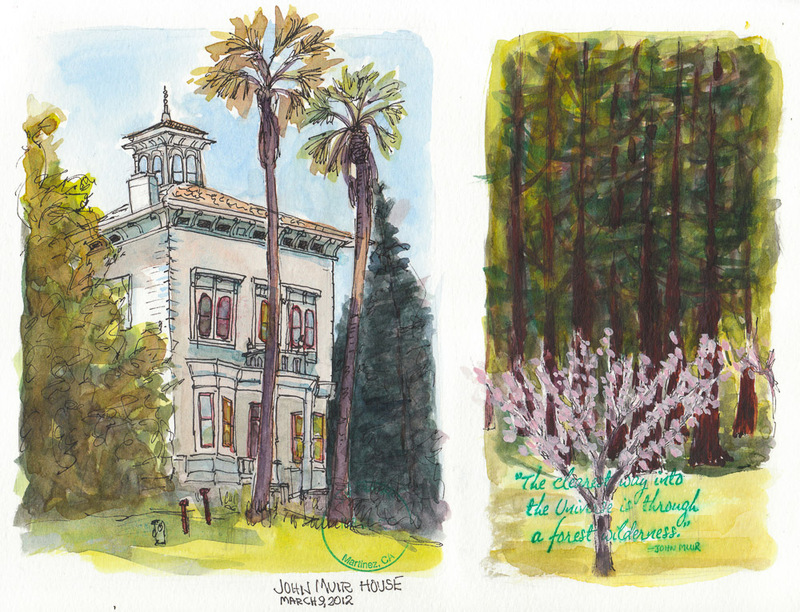 Jana I love your painting of John Muir’s home. I’m a big fan of JM, read his biography, he was a fascinating man. 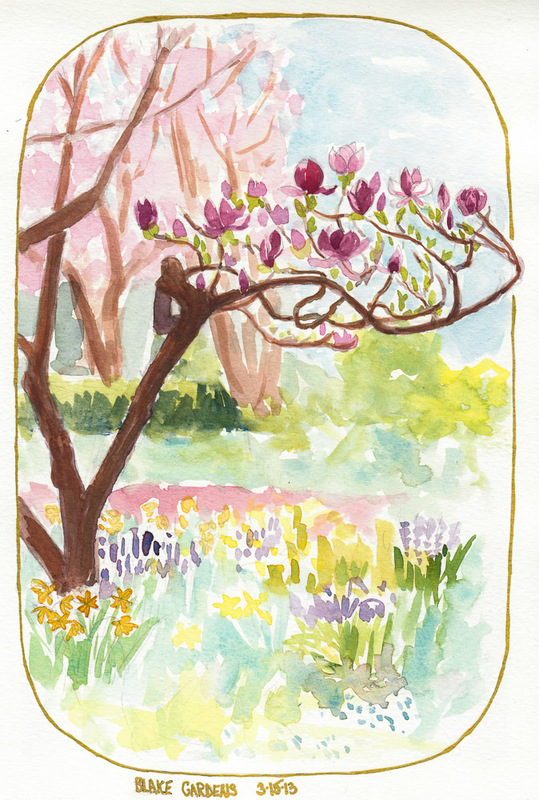 What you call a magnolia tree, we call a tulip tree. It is a beautiful springy painting! 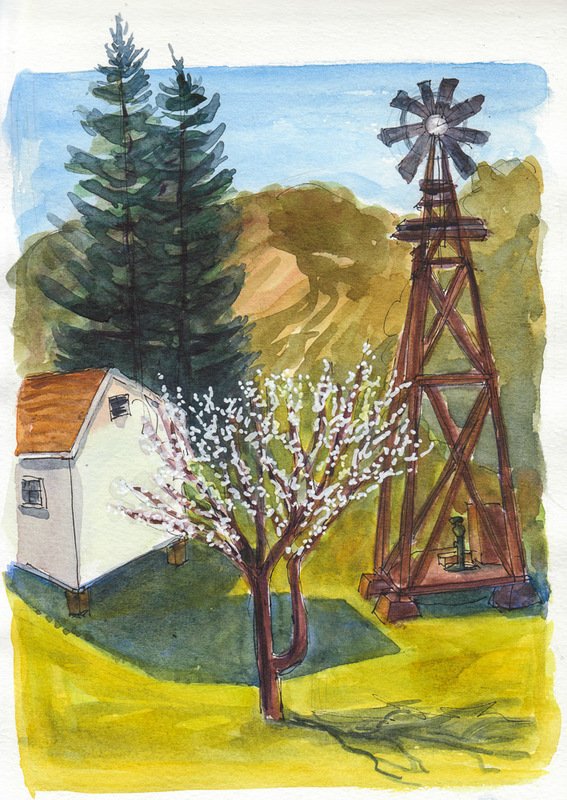 Was this plein air? You captured the feel of spring time! Thanks! I always called them tulip trees too–the flowers really look like giant tulips. But they are actually magnolias, *Magnolia liliiflora*, though according to Wikipedia they have many other names too: *Mulan magnolia*, *Purple magnolia*, *Red magnolia*, *Lily magnolia*, *Tulip magnolia*, *Jane magnolia* and *Woody-orchid. They are lovely. I’m glad you shared them.